Research and advisory firm Gartner predicts that by 2019, up to 30 percent of new software will be cloud-only. For today’s businesses, the cloud already offers clear benefits of agility, scalability, cost and innovation. If you’re looking to adopt the cloud for your business, thorough pre-planning is essential for a smooth migration. Here’s what you’ll need to consider. The cloud basically means outsourcing your data center needs to a third party. While this entails little to no capital expenditure, cloud operating costs can be higher. 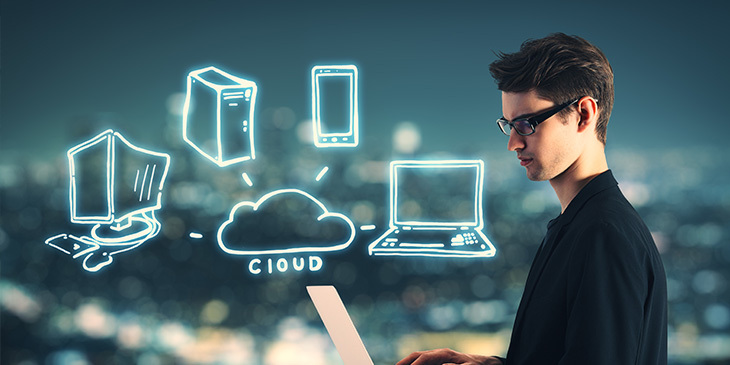 Look beyond the listed price of your cloud plan to the hidden costs that could potentially come back to bite you – such as underused capacity, data transfer costs and troubleshooting. Servers, networks and data services can all function differently in the cloud. Make sure you update the necessary parts of your computing environment to prepare for this change. Older software that’s no longer sold or supported may not be suitable for the cloud, whereas newer apps may be cloud-ready straight out of the box. Not all software has cloud-compatible licensing. Software that is locked to a specific hardware ID may not run in the cloud, for example, and there may be restrictions or penalties when sharing certain apps between multiple users and/or devices. Be sure to check this with the software vendor. An app that requires five nines reliability (i.e. working 99.999 percent of the time) may not meet service expectations in the public cloud, where the service level objective (SLO) can be much lower (e.g. 99.95 percent for Google). Cloud-native apps usually take this into account, but other software may require a redesign. Many business-critical applications have strict performance requirements. A cloud provider may only give limited support, or none when something goes wrong with a migrated application. In such cases, a fully integrated cloud-native app may be the better option. Moving databases into the cloud can be tricky, even when you have the best tools available. Make sure you back up everything locally just in case you need to roll anything back. It’s also important to consider data portability – some cloud providers use metadata that you can’t easily export to other platforms. Cloud-based applications can be secure, but because you don’t own the hardware, this is a risk you’ll need to factor in. Ultra-sensitive data – for example, key intellectual property or personal medical information – may not be suitable for public cloud storage. Migrating to the cloud is a great way to get the same IT services with both greater flexibility and at less cost. Following this checklist can ensure that your business transitions without a hitch.